A popular breakfast and brunch spot has opened a new restaurant in the neighborhood. The fresh arrival to River West, called Stax Cafe, is located at 522 N. Milwaukee Ave. Its original location has been a Taylor Street breakfast favorite for eight years, reports Eater Chicago. The new eatery is in a modern, open space with a triangular-shaped patio outside. On the extensive menu, you'll find pancakes, crepes, French toast, waffles, omelets, sandwiches and wraps. Notable breakfast options include the blueberry, chocolate chip or banana pancakes; the veggie skillet with mushrooms, onions, tomato, Swiss cheese and asparagus; and the oatmeal waffle with apples, cinnamon and granola. For lunch, expect cheese quesadillas, California club sandwiches, turkey burgers and the classic BLT. Coffee, juices and teas are also on offer. With a four-star rating out of six reviews on Yelp so far, the new arrival is on its way to developing a local fan base. 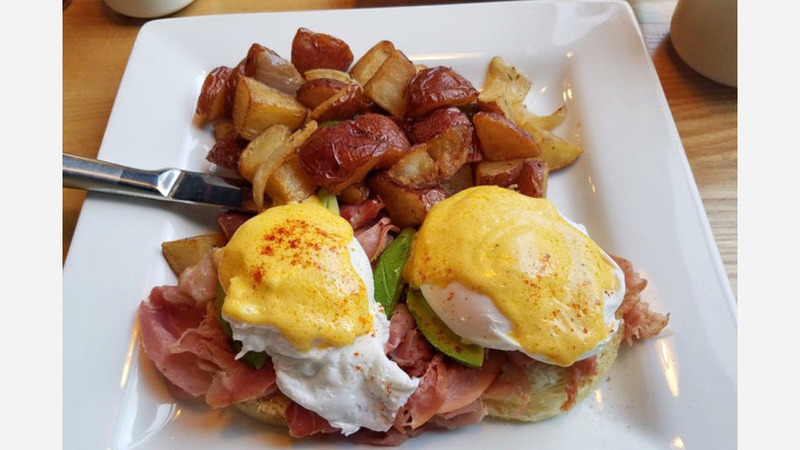 Liang H., whoreviewed the cafe on July 10, wrote, "Great spot with ample lighting, a clean and bright exterior and the cutest backyard patio in River West! I went on the soft opening day and got a tall glass of fresh squeezed grapefruit juice and beef brisket eggs Benedict. Nice portion and fair prices for the neighborhood." Head on over to check it out: Stax Cafe is open from 7 a.m.-3 p.m. on weekdays and 7 a.m.-3:30 p.m. on weekends.